Look no further for high quality furniture at an affordable price! Located in Ludington, Mattress Max & Home Furnishings is the furniture store to visit to get the best deals for new, quality furniture in West Michigan. Owner Zach Mitchell has years of experience in the furniture business, and he and his team is ready to show you the best customer service around. Zach will help you find just what you're looking for while keeping your budget and specific needs in mind. 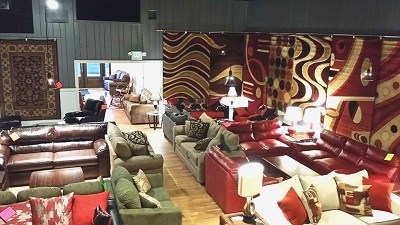 The large showroom at Mattress Max & Home Furnishings displays furniture for every room in your house! Can't find what you were looking for? Mattress Max can special order from several different furniture companies so you get exactly what you need for your home. Plus, you can customize the furniture you want with different fabric colors and designs! They will even deliver your purchase to you, whether you live in the Ludington, Scottville, Manistee, or Pentwater area. Mattress Max offers free layaway, 90 days same as cash, and 12 months no credit check financing. Mattress Sets...Sleep Comfortably on a Brand New, Affordable Bed! Although Mattress Max & Home Furnishings carries much more than just mattress sets and beds, they do specialize in helping you find the perfect mattress for your needs! Head to the store in Ludington and take a quick "test snooze" to find a bed that is just right for you and your budget. 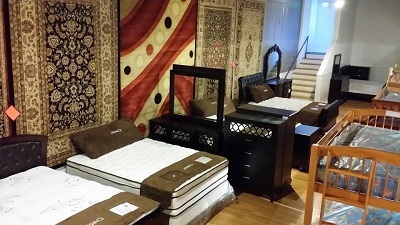 Mattress Max has all kinds of mattresses and full bedroom sets to choose from. From Twin to California King, find your perfect bed in memory foam, gel foam, box top, Euro top, ultra plush, plush, or firm. You can purchase just the mattress, or get a whole new bed set with mattress, box spring, and frame. There are many frame choices, from simple and affordable metal frames, to decorative, beautiful wooden bed frames with head and foot boards. Living Room, Bedroom, Dining, and More! Mattress Max & Home Furnishings of Ludington carries everything you need to fully furnish your West Michigan home. And if they don't have what you're looking for in-store, they can special order furniture for your needs! Mattress Max has a large selection of bedroom sets, bunk beds, living room sets, lamps, sofas, recliners, love seats, sectionals, dining tables, area rugs, gun cabinets, benches, TV stands, and more. 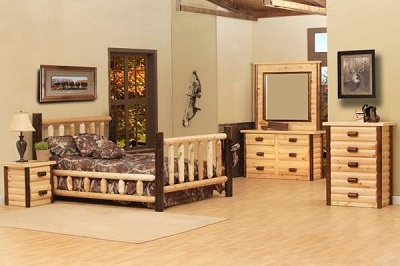 Also an impressive selection of Duck Dynasty camo furniture, log bedroom sets, bunk beds, and lodge furniture with over 200 fabric pattern choices including bear, deer, elk, and more. There is also a sleeper option for every lodge sofa. 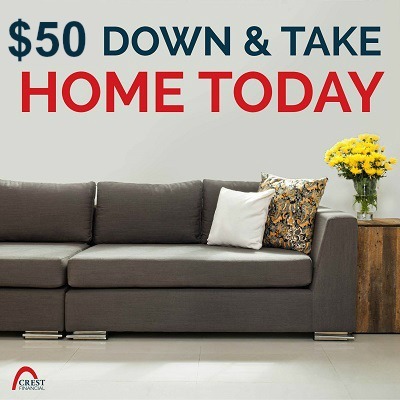 This quality furniture is at the guaranteed lowest prices in West Michigan, no sale necessary! Mattresses Can be Shipped Anywhere! At no charge to you, most of the memory foam mattresses sold at Mattress Max can be shipped anywhere in the US! Many people who spend their summers in Ludington purchase a mattress at Mattress Max, then decide they want the same comfort at their winter home in another state. Guess what? Mattress Max will ship it to you for free! Ask about their 90-Day Comfort Guarantee. At Mattress Max, you'll find high-end memory foam, cool-gel technology, bamboo, and also hybrid options. Mattress Max is open Monday-Saturday 11am-6pm, and Sunday 12-6pm. They are located at 5706 W. US-10, right behind Little Caesars. Stop in and take a look around!